Each of our locksmiths is rigorously trained and certified to perform all types of lockouts and lock replacement services. Our commitment to customer service makes the experience stress-free. Affordable options mean you don’t have to hesitate to call. Faulty locks can be frustrating. And losing your keys can be even more of a headache. 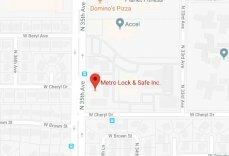 For prompt, professional locksmith services in Sun City West, call the trusted local experts at Metro Lock & Safe. Sun City West is a self-governed 55+ community with tons to offer. Boasting plenty of recreation, shopping, its own hospital, and library, Sun City West offers a great experience for its residents.